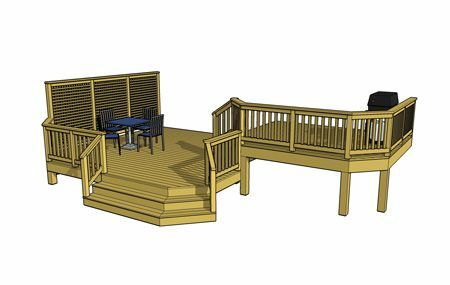 This 2 level deck includes a privacy wall and an angled staircase. 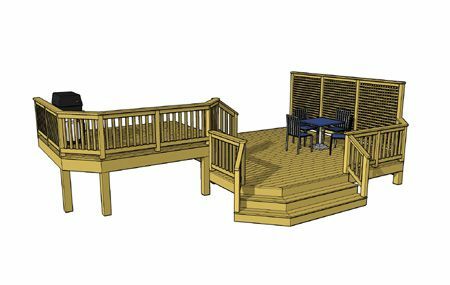 The 12' x 10' top deck provides access to the house and is well situated for a grilling area. 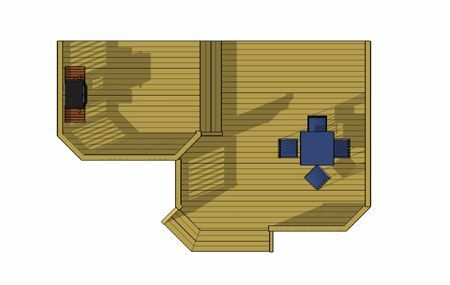 The 17' x 16' middle deck uses a 14' privacy wall to create an intimate entertaining area. Broad angled stairs transverse the deck levels creating a sweeping and well organized traffic lane from grade to the house door.